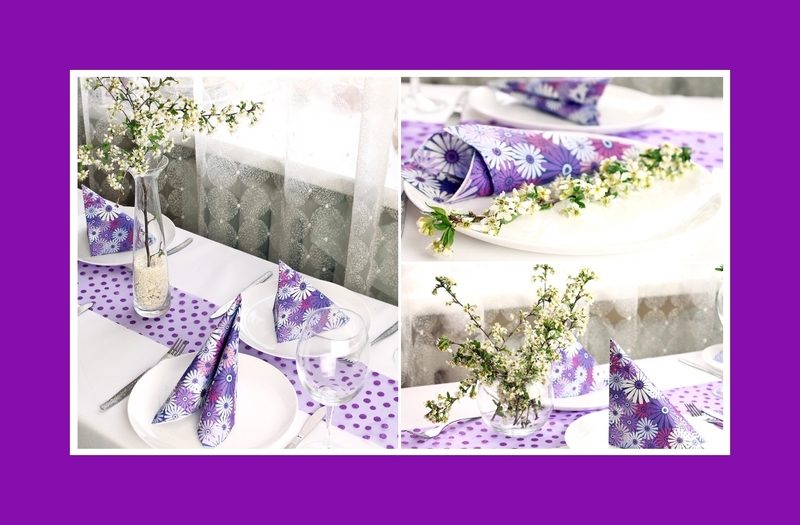 Here you've got a nice example for a birthday party which is colored purple and white. You can use white flowers to decorate your table. 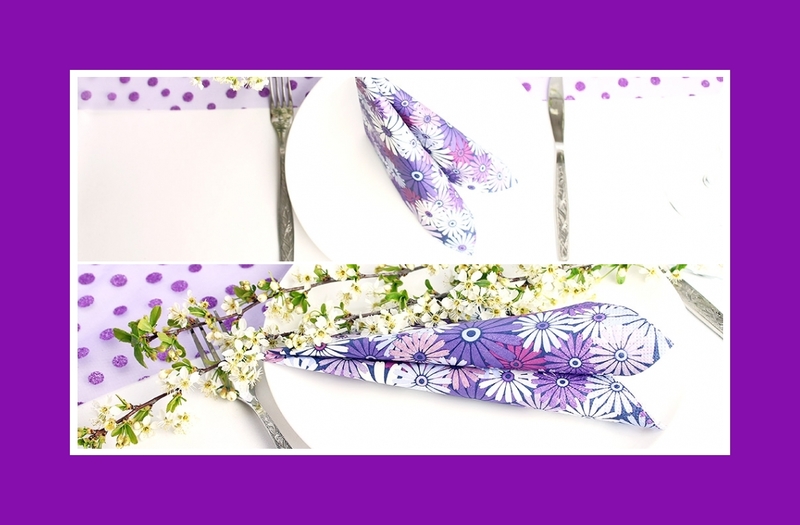 These are purple colored, folded napkins which were used at a birthday party as decoration. 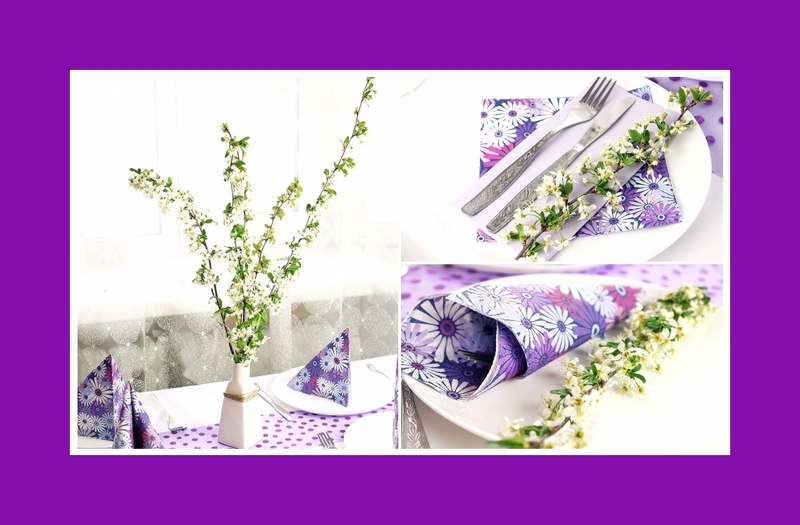 You can use purple napkins and white flowers as decoration, but also at home like usually. In this picture you can see folded napkins into a roll or into triangles. Combined with white flowers it looks beautifully and brings good atmosphere in your room.